Relax and unwind with candlelight yoga. This soothing blend of deep, slow-moving stretches with supported, restorative work is designed to help you melt away tension, decrease feelings of stress, and increase calmness. Create space, make peace, and love yourself with this gentle class! Allison Kern, our featured teacher of the month, leads this Open-Level class suitable for any yogi. Give yourself permission to relax and release and register below! This Level 2/3 class has carefully designed sequencing for students who enjoy finding or discovering deeper and challenging poses at a slower and safer pace, utilizing principles of fascial release, joint stability, and both muscle flexibility and strength. Read more about Danicia and register for her new class below! Cannabis products, such as CBD, are quickly becoming a popular health solution for a wide range of ailments including: anxiety, sleep, stress, inflammation, and pain. The more we learn about CBD, the more it seems poised to revolutionize medicine as we know it. Karen Haas and Bonnie Hagen, Principals of Bright Energy Wellness, will share their story and knowledge. Click “Buy Now” below to sign up for free! Congratulations to our recent Yoga Teacher Trainees! We are so proud of them and grateful they are part of this community. If you see them in studio send them a bit of luck and love as they continue their journey! 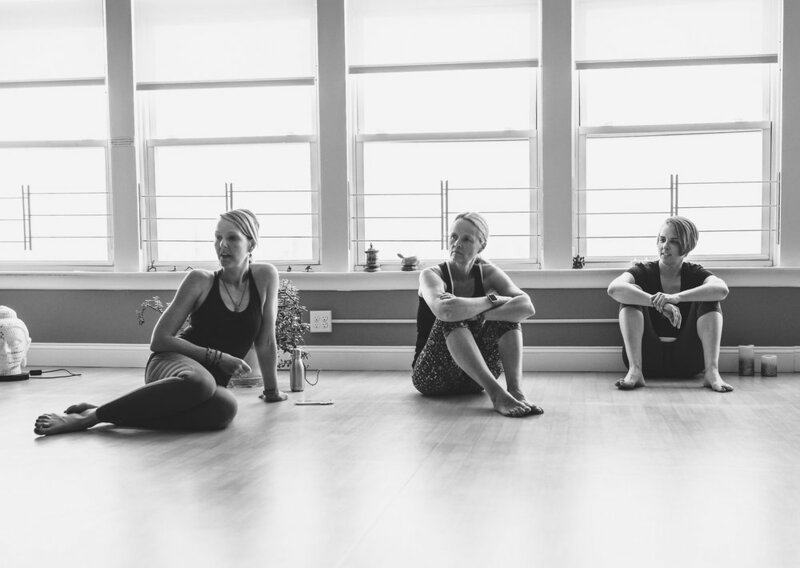 Tovami Yoga’s next 200-Hour Teacher Training Certification begins September 2019! We will be running two different groups- one weekday option and one weekend option! Read more details below and register before September 1 for Early Bird Pricing! Join us for another special afternoon at our monthly Yoga Nidra and Sound Healing Workshop with Stephanie Gould, Yoga Teacher/Yoga Therapist, and Karin Reetz, Sound Healer/Reiki Master. This month's session will focus on back care and releasing emotions. Spring is here and it's time to free yourself from the emotions and tensions that you've carried with you all through winter! This session will include Sound Healing with Tibetan bowls, Sound Therapy where bowls are placed directly on the body, and Yoga Nidra with specialized gentle asana, restorative poses, visualization, and meditation. This practice is open to anyone! In this workshop, girls from ages 9 through 13 will be invited to engage in a mix of yoga with educational self-esteem building activities designed to promote appreciation for their genuine qualities and develop accurate self-awareness. Girls will explore the different qualities that make them beautiful. They will engage in an interactive activity and will be guided through a yoga session that encourages appreciation and love for their bodies and gratitude for their individual strengths. 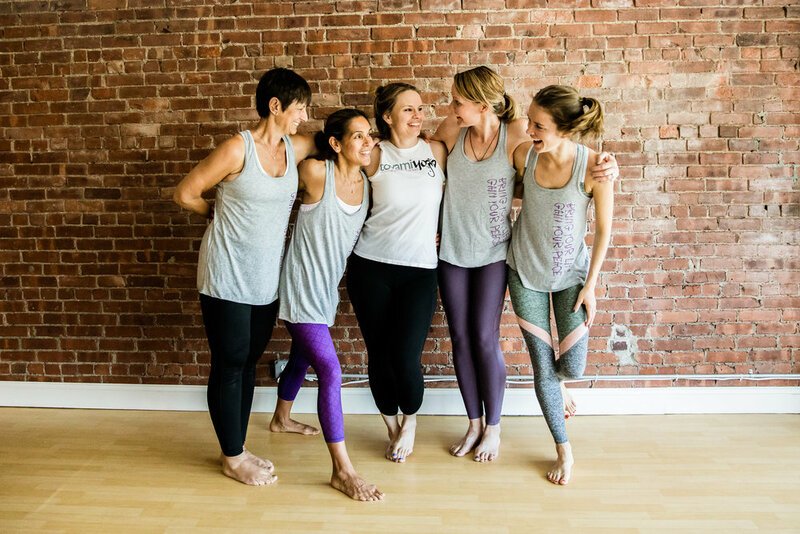 We are community, We are Yoga, We are laughter,We are growth! STAY TUNED FOR NEW CLASSES & WORKSHOPS! The benefits of yoga for kids are many, including increased focus and concentration, heightened body awareness and self-control, increased flexibility and strength. Yoga for kids helps ease stress and build confidence. It encourages children of all ages to create healthy habits for life. If I could learn one thing each day, it would be how to love myself and others more fully. With yoga, we will all meet there. Tovami means community - the name can't be found in a dictionary, nor does it have a country of origin, but has been created. A name to mean community, one letter, one idea, one person at a time. We see everyone as unique and special like Yoga. 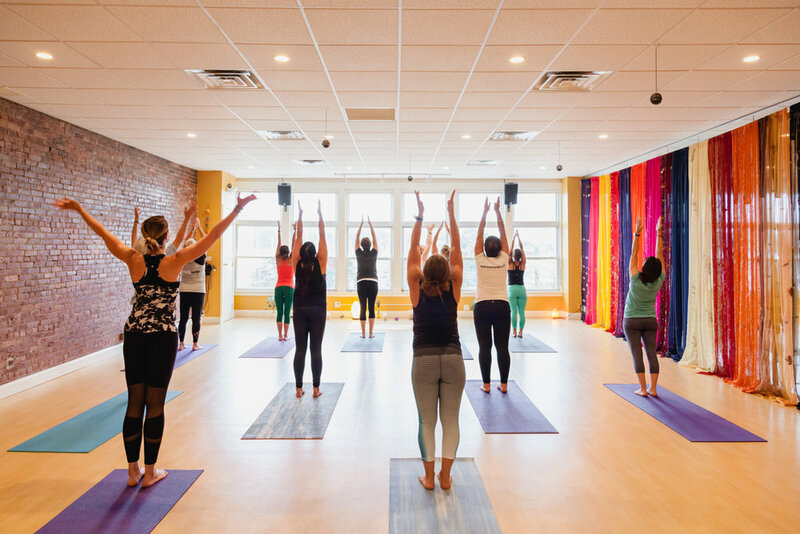 The focus for us is on building this beautiful yoga community, this "Tovami" honoring yoga as an ancient mindfulness art in our welcoming studio. Like our Yoga Practioners, our Teacher's are fun & have a unique view that shines brightly throughout each of their classes. Meet Allison! 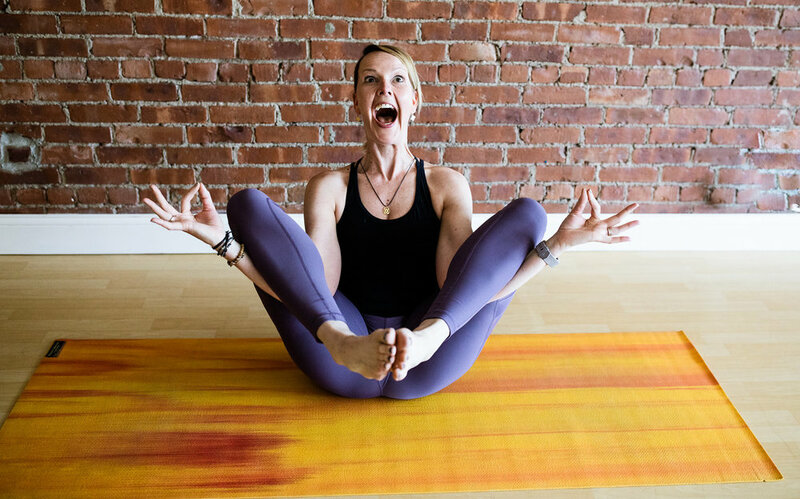 Allison teaches Gentle/Yin Yoga and Candlelight Restorative Yoga, our featured class of the month! She has a special interest in teaching yoga to students looking to release chronic tension through slower asana, breath awareness, guided meditation, and deep relaxation. She always holds space for healing and self care with nurturing compassion and supportive guidance. We love Allison’s vibrant energy and her ability to authentically connect with others. Practice with Allison every week at the studio and learn a little more about her below! 1. Tell us a bit about how you found yoga? I was very active at my local gym; my favorite classes were spin, step and aerobics. I noticed a candlelight restorative yoga class on the evening schedule, took the class and experienced a deep peacefulness I had never known was possible. It was the missing ingredient I needed in my life. I have now practiced yoga over 20 years in a wide variety of styles, at different studios in Westchester, Connecticut, and NYC. I was fortunate to practice and study with teachers who have become well-known in the industry. 2. What can someone expect when coming to your class? Students can expect to de-stress and refresh, stretch and tone, release chronic tension while listening to the inner wisdom of the body . I offer my in-depth knowledge of the practice, clear instruction, creative sequencing and intuitive insight into each student’s needs. I guide my students through a breath-based gentle Kripalu experience that is healing and nurturing. Students are encouraged to recognize and address imbalances in their body with compassion and self acceptance. 3. What’s something about you that no one would expect? I was a Vice President of Sales and Marketing for a NYC dress manufacturer before teaching yoga full-time. 4. If you had to choose- favorite yoga pose? Viparita Karani , Legs Up The Wall Pose. It rests and rejuvenates the body especially for those doing a lot of standing during the day. Pachelbel: Canon in D. Heaven on earth. It’s simple -- three violins, one cello, and eight bars of music repeated 28 times. Knowledge through repetition. The Karma yogi is a work exchange program. your time for free yoga classes and studio discounts. We are always interested in you! Please feel free to contact us to see if there are any Karma Yogi positions open today.